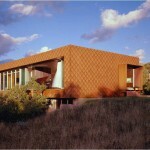 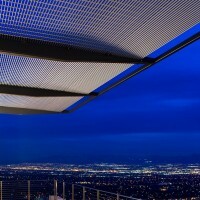 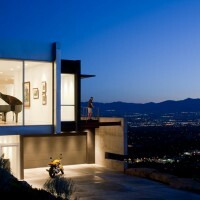 Axis Architects designed the H-House on a hill overlooking Salt Lake City, Utah. 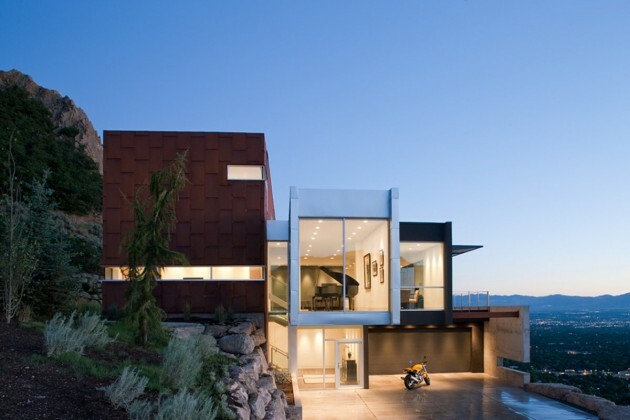 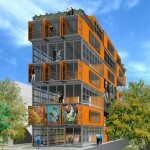 The H House is a modern residence located high on Salt Lake City’s East Bench on Devonshire. 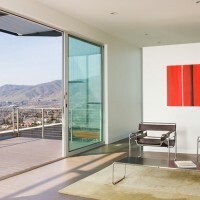 The living spaces of the house are oriented towards the expansive views of the valley and the Great Salt Lake. 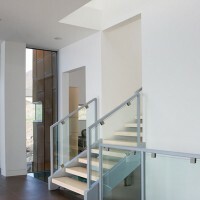 One of the challenges of this project was to allow for the views to the west, while protecting the house from the afternoon sun. 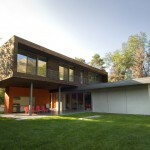 A large overhanging shading device provides shade and gives a distinctive character to the house. 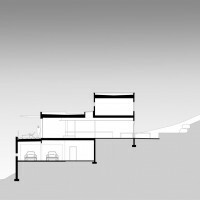 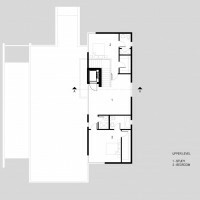 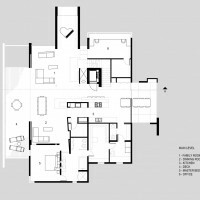 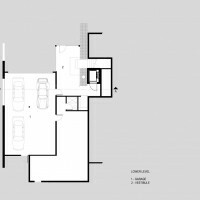 The volumes of the house follow the slope of the terrain and reinforce the integration of the house into its environment.